Overview: An Involuntary Creditor Remedy. The law of state court receiverships dates back hundreds of years to the common law and was largely developed through case law. As a result, receivership law traditionally has varied from state to state, county to county, and even courthouse to courthouse. Receiverships are involuntary judicial proceedings brought by creditors and regulators to seek appointment of a receiver to preserve, manage, and dispose of assets located within the state. Typically, receivers are sought by either mortgage holders on defaulted mortgages on income-producing property to take control of rents and other incomes of the real property pending foreclosure in proceedings known as real estate receiverships based on authorizing language in the underlying debt investment, or by judgment creditors seeking to preserve and prevent waste or transfer of assets to satisfy the judgment pending appeal, or by shareholders or directors of dysfunctional corporations, or by stakeholders of an insolvent entity to liquidate its assets and pays its debts in what are commonly known as equity receiverships commenced under an authorizing statute or the general equity powers of the court. State regulators also may act as or seek appointment of a receiver over businesses that impact the public interest or do not qualify as debtors in bankruptcy such as banks and insurance companies, when authorized by statute or common law practice. 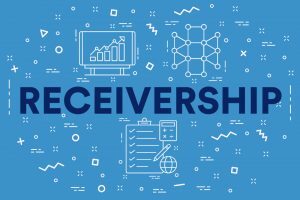 Federal receiverships, while not covered here, are authorized by federal law and are useful tools to administer assets located in multiple states in a unified proceeding. Far less structured and with fewer active participants than in a bankruptcy case, receiverships are often viewed as more flexible and potentially efficient. It is not surprising that, with the rise in the cost of business bankruptcies, creditors and other stakeholders are reevaluating state court alternatives. Duties and Powers of a Receiver. Receivers are officers of and owe their duty to the appointing court, and are not fiduciaries for creditors as debtors and trustees are in bankruptcy cases. Some statutes require the posting of bonds prior to the receiver assuming its duties and some relegate the decision whether a bond is required to the court’s discretion. A receiver’s powers and duties are generally based on the inherent equity power of the court and are typically set out in the appointment order. A receiver’s powers widely vary, and may include, by way of example, the power: to operate an ongoing business; to compel turnover of receivership property; to employ professionals and other employees to facilitate administration of receivership property; to enter into contracts; to sell property in and outside the ordinary course of business; to sell property free and clear of liens; to assume or reject executory contracts such as maintenance contracts and unexpired leases where a material duty remains to be performed by both contract parties; to abandon property; to borrow funds; to pursue lawsuits to recover preferential or fraudulent transfers; and to resolve and pay general claims from available receivership assets remaining after satisfying secured claims and administrative costs. Receivership procedures historically have been flexible and ad hoc. The statutory stay which goes into effect automatically on a bankruptcy filing and enjoins creditors from pursuing actions against the debtor or its property is widely recognized as critical to the uninterrupted and smooth administration of a bankruptcy case. For the same reasons, an injunction is generally incorporated in some form into today’s receivership orders and statutes, whether through an injunction of limited duration or one that lasts through the proceeding, to avoid the disruption to receivership administration of creditors seizing assets and continuing to exercise state law remedies. Some jurisdictions, through practice or rules, have defined who gets notice and when of the receiver’s appointment. Jurisdictions with receivership statutes tend to regularize requirements for the manner and timing of notice to affected parties throughout the proceeding. Some but not all jurisdictions with receivership laws require inventories to be filed at the beginning of the case. The inventory requirement is mandatory in federal receiverships. Generally, final reports of assets and their dispositions are required to be filed by a receiver, with notice and opportunity for comment by affected parties-in-interest, before the receiver is discharge or released and any posted bond returned. Unlike in a bankruptcy case, there is no discharge of debts in a receivership. Absent a statute, there is a lack of uniformity on how a case is closed. Thus, while receiverships historically have given receivers a good deal of freedom in how and when to proceed in disposing of assets, the uncertainty surrounding the process and the scope of powers exercisable by a receiver can give rise to challenges that may disrupt an otherwise fluid process and divert resources that should be dedicated to enhance creditor recovery. As receiverships became more common, over the last 10-15 years a number of states have revisited receivership law and enacted comprehensive receivership statutes to fill in existing gaps and create certainty with the aim of providing a more expeditious and less expensive liquidation process tailored to specific circumstances. To create a template for enacting more uniform state receivership laws, in July 2015, the National Conference of Commissioners on Uniform State Laws approved adoption of the Uniform Commercial Real Estate Receivership Act (“UCRERA”). While UCRERA is specific to real estate receiverships, it is adaptable to equity receiverships. Its approval, in fact, prompted a number of states to revisit their receivership laws. The Oregon Receivership Code went into effect in 2018. In 2016, the state of Missouri passed a uniform receivership statute. The State of Maryland is contemplating a comprehensive receivership statute in its 2019 legislative session. Previously, the states of Washington and Minnesota passed comprehensive statutes in 2004 and 2012, respectively. Some states such as California, Florida, Indiana, Nebraska, New Mexico, Ohio, Oklahoma, and North Dakota have enacted moderately detailed receivership statutes. Without question, receiverships will continue to offer creditors an alternate route to recovery and state legislatures the challenge of fashioning statutes that offer a viable bankruptcy option, while preserving the flexibility and cost efficiencies that are historic hallmarks of state court receiverships. With extensive experience at the national and regional levels, Joyce Kuhns brings her in-depth knowledge in delivering creative solutions to help transform financial challenges to successful outcomes. 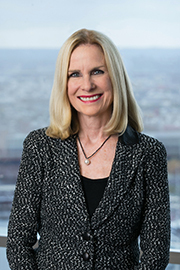 Whether representing businesses as debtors or creditors, creditors’ committees or equity committees, or as an advisor to trustees or regulators, Joyce’s understanding of the complexities of financial and business structures and her experience with out-of-court resolutions as well as litigation at the trial through appellate levels enables her to provide critical strategic advice from the boardroom to the courtroom to a broad spectrum of clients at every stage of the business cycle including directors and officers of companies in crisis. A pragmatic problem-solver, Joyce uses her cross-disciplinary legal skills to meet the daily business needs of her clients and to help reshape their future.